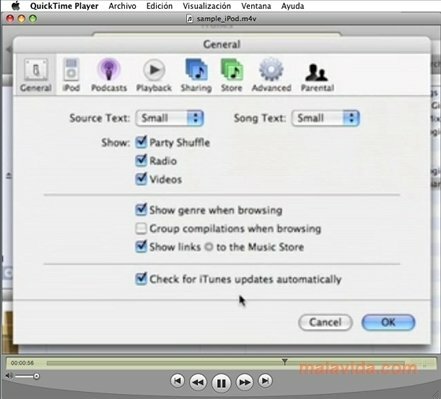 QuickTime is a free multimedia player that is included by default on Apple computers. With it we will be able to play many video and audio files, including those that use its native format, known as .mov. This application has less known capacities like the possibility to play static images, graphics and virtual reality films (VR). 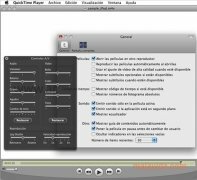 QuickTime is compatible with the formats that are most used over the Internet to broadcast films, documentaries and entertainment programs: MPEG-1, MPEG-2, MPEG-4, H.264, 3GPP and 3GPP2, among many more. If there are any formats that can't be read, here at Malavida.com you will be able to find complements and plug-ins, like Perian and Flip4Mac, that will help you to make it compatible with more formats. But it isn't just a multimedia player. 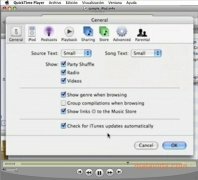 Other applications use the QuickTime architecture to play multimedia contents, something that happens in popular applications like iTunes or in more specialized applications like Final Cut Pro. 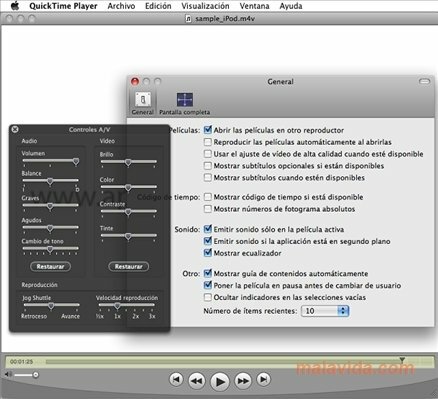 This makes QuickTime an essential part of any Mac OS X when it comes to playing videos. The application has a pay version, QuickTime Pro, that includes a vast variety of functions that make it a very complete multimedia player. In its free version we can now enjoy a fullscreen mode and the possibility to add subtitles that can be found in the same folder and with the same name than the film. 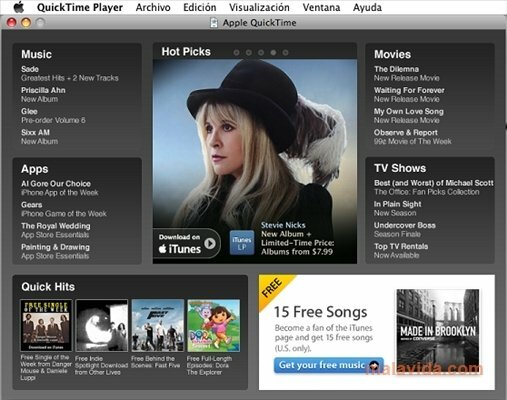 As the multimedia core of Mac OS X, QuickTime Pro is essential for all Apple devices.